As the dark clouds masked the azure sky belying the intention of brewing a powerful storm. A greater threat looms for a fleet of merchant vessels than the choppy seas and swirling winds. In the distance, a sail appears emblazoned with the most terrifying of sights as the menacing, eyeless face of the Jolly Roger materializes into view. The ship attempts to outrun the a feared buccaneers, only to see another from the west, and yet another from the east, escape is no longer an option. As the pirates close in, which captain will take the ship for their own, and who will get the Loot. Players in Loot are the pirates battling to pad their coffers with the largest share of ill-gotten gains acquired from unsuspecting merchant ships. The deck of 78 cards is brandished with a treasure map on the back and caricatures of ships and their over zealous captains on the back. As each player begins with their hand of 6 cards, they play in turns choosing between actions, such as drawing cards, playing merchant ships, attacking merchant ships or playing a captain or an admiral. Play is interesting as it involves some unique mechanics. First, if a player uses their action to play a merchant ship, it has a value attached varying from 2-8 gold. If a ship is captured the pirate gains that much gold towards their final total. A player places his merchant ship in front of him, and if the next player opts to attack it, they choose any color pirate ship from their hand. Pirate ships come in four colors, purple, yellow, green and blue, and vary in strength from 1-4. So, a player may choose a ship from their hand in an attempt to attack the vessel, if they do, it must pass an entire round (all players have had their turn and it is back to that initial players turn) before they can claim the vessel. Were another player to challenge against that pirate, they may only play a ship that is a different color than one already played on that ship. So two players could not play a green pirate ship, even if their strengths differed. As play passes between players, they can opt to strengthen their attack by playing additional ships of the same color to add to their overall power. The player with the highest strength against a merchant ship for an entire round, takes that ship’s loot. If no one threatens a merchant ship then the player who put it out gets it’s loot! Now, if a player really wants to take a merchant ship, they can play a captain in the color that matches the ship they already played on it, there are only 4 captains in the deck, so they should be used wisely. The last captain played on the merchant vessel wins it. If a player wants to protect the ship they played, they can play the one Admiral in the deck and collect the booty from their capture. At the end of the game, players count up their gold, and the player who managed to plunder the most, wins! Loot is a pretty easy game to start up, but it does require some strategic thinking and decision making. Players must sometimes sacrifice a vessel they played or are attacking for a better bounty, and will sometimes have to let other players collect on vessels with no resistance. The game play challenges children to think of how to get the most “bang for their buck” by reserving scarce resources and sometimes taunting opponents into attacking a vessel to distract from a bigger play. Loot also comes with a variant play allowing for teams to interact in capturing vessels (for 4, 6 or 8 players) so even large groups could have some fun in the plunder. Overall, Loot is a well thought out and very fun game. It’s possible to play it well with younger children, but it will take patience as they develop their skills and start to find strategy beyond playing anything they are able to. The game suggests ages 10+, but the game is very suitable for children who have developed skills in Uno or Zombie Dice. There is simple math involved with adding up power totals and recognizing merchant ship values, there is no reading. Children can also practice grouping, multiplication and addition at the end game as they come up with total gold values. All in all this is a fun game that is a bit of a twist on normal strategy. Definitely recommended for those who are looking for a little privateering in their game closet. Wondering about other Gamewright games? Check our our reviews here! Surrounded by a lush and dangerous forest lies your keep. A castle like no other (since it is yours) is the envy of all. Especially the besieging armies of Goblins, Trolls and Orcs! Can your Archers, Knights and Swordsmen defend your keep from these warmongering monsters before they destroy it or before you panic? There was a time when I had all the time in the world to play tabletop roleplaying games. You know the type, the epic battles between orcs and elves, goblins and raging barbarians whilst sitting around the table drinking Mountain Dew. Since becoming a parent, those days have been shortened to momentary spurts normally filled with searching for the dice a wandering toddler absconded with. Board games like AFF[Talisman] or AFF[Mage Knight] fit the bill, but can take hours to play, losing most kids in the process. Of course, you can also check out games like Hero Kids and AFF[Adventure Maximus] but that might be a bit much for a quick game, especially if you don’t feel like being the ever-dreaded Dungeon Master. This is where AFF[Castle Panic! ]* slots in! All the adventure, none of the hassle! AFF[Castle Panic! ]sets up to 6 players in a realm where all sorts of fantasy creatures are attempting to breach their castle. Players then work together to defend the castle from being taken by an army of orcs and trolls and goblins and their leaders. The board is composed of concentric circles split into three colors, red, green and blue, with 2 60 degree arcs per color, numbered 1-6. Each ring represents a different type of defender, Archers, Knights and Swordsmen, the outermost ring is the forest (the home of monsters) and the center-most is the castle towers and it’s defensive walls. What makes AFF[Castle Panic! ]a bit different than your normal dungeon crawler is that all of the players represent any and all of the defenders. Each player has a hand of cards (4-6 based on number of players) which represent the varied warriors set to fortify the castle’s defenses. Players can then attack monsters with the cards that match the space the monster occupies. A turn begins with drawing up to your maximum hand size, optionally discarding a card to draw a new card, and optionally trading 1 or 2 cards (depending on how many players). After these hand manipulations, you can play as many cards as your hand allows. Which could result in many monster deaths or injuries, building or fortifying walls or staring frustratedly at a bunch of soldiers you wish you could put in a nice new color of uniform. As with most co-op games, it’s more complicated than that. At the end of each turn the monsters move closer to the castle in the hopes of breaching the walls and overtaking it. And each turn the defenders must try to last the next onslaught of malicious beasts they draw without losing their castle. Add to this mix giant boulders that destroy everything in their path and vicious plagues that infect the castle’s last hopes, and you have some interesting randomizing mechanics that mess with the normally predictable strategy. It’s easy to strategize in AFF[Castle Panic!] because the linear movement is steady and foreseeable.. that is until you draw a “Move all monsters counter-clockwise” token or have a “boss” urge his minions forward. The good news is, each monster token you draw brings you closer to exhausting the pile, which brings you closer to surviving the siege. The bad news is, you still have to survive until they are all gone to win. The primary goal of the game is to outlast the onslaught, but subsequently, the main game calls for declaring a “Master Slayer”. This title is bestowed on the player with the most points for tokens collected through monster kills, however; playing without this designation allows for fully cooperative play. The rules feature several cool variations to change the difficulty of the game, which is always welcome in more straightforward games. AFF[Castle Panic!] is a basic strategy game with some cool mechanics and twists that make it fun to play. Being cooperative, with very little reading (most of the major cards can be identified by pictures and colors, and there aren’t many “special” cards), makes it a very good game to add to a family library. Encouraging children to look turns ahead in order to predict what will happen is a great skill to build reasoning and to grasp logical progression. Also, there is some simple math and calculation involved in the strategy, each hit does 1 damage, but the triangular shaped monster tokens can take up to 3 hits. Engaging a younger child to turn the token to reflect damage can help solidify subtraction and number recognition skills. Allowing children to count up all of the points for “Master Slayer” at the end can reinforce grouping, higher levels of addition, and multiplication, as each monster type represents a different value. For older children, being allowed to make decisions based scarcity, can be an invaluable exercise in resource management. As well, the game being cooperative with a clear winner, allows for the ability to make more complex and weighted strategic plays, since kills only count if you manage to live to count them. AFF[Castle Panic!] is a great game to play together as a family. While it might not be the adventures of yore that you long for, it will keep your eight year old busy long enough for you to get a goblin-slaying-dice-fix. The machine whirred loudly, a perfect musical backdrop to the ears of the factory employees. As the harmonious percussion of gears and steam-powered whistles reach what should be the crescendo of engineering-melody the Gnomish mechanical symphony sputters with a discordant CLANG! The Gnomes spring into action to repair the very machine that keeps them all employed and tinkering. But who will manage to build the most interesting and complex fixes for the machine? What fun would it be if it wasn’t every Gnome for himself? Cogs in a Machine is the fast paced game of invention, repair and and displaying your Gnomish chops as you race to be the best Gnome you can be. There are six different Gnome roles you can play, all with different abilities and very appropriately themed skills. The artwork is fantastically thematic and adds to the gameplay. CiaM is a competitive dice and resource management game played in turns and phases. To start the game, players have 6 dice; characters start with the same five dice and one die unique to them. The board has an empty “machine”, three possible components to build and nine upgrade dice available for purchase. Rolling your six dice is the first phase, each type of die has various possible outcomes. Build cog(s), build teeth, reroll (wrench), wild (star), auto-upgrade and blank-sides. Phase two is the rerolling phase where you can reroll any wrenches (with another die) or stars (wilds) that you choose, and/or use a rerolling ability. Next up, players get to supervise you! They can use an ability to affect your dice roll by spending a previous roll or resources you’ve gathered. After that, you get your parts, which consist of two resource types: cogs and teeth. Teeth are personal resources and are stored on your character card. It takes more teeth to build components than cogs, and you can have a maximum of 10 of them at the end of your turn. Cogs are what makes this game unique; a cog that is built goes into the “machine” and is now accessible by any player on their turn. Cogs and teeth can be spent them to build components in the following phase. Components give special abilities (like upgrading dice, trading in teeth for cogs, etc.) and are used toward your final goal. In the end phase, you trash excess resources and set up for the next turn. The game ends when one Gnome builds five components, and lets everyone else have a chance to build one last time. Component points are counted up by their cost in cogs (like mechanical victory points) and the Gnome with the fanciest array of parts reigns supreme. All in all, gameplay goes pretty quickly, and with symbol usage and rules cards, it’s relatively easy to follow for even a younger gamer. Some reading is needed, but there aren’t enough cards to cause it to be cumbersome to explain to a smaller gamer, far younger than the suggested age of twelve. The game plays two to six, however one of my chief complaints is that there are in effect only five rules cards. Let me explain. The game plays up to six Gnomes, and there are six rules cards; unfortunately one of those cards is meant to be used as the machine. Normally, I wouldn’t be bothered by that, and would just use a table for a six player game, of course. But the tokens for cogs and teeth are very thin card-stock and difficult to pick up if they aren’t on some sort of backing. Component-wise, the cards are well made and descriptive with fantastic well-thought out artwork (though, adding a female Gnome or two would be nice). The game comes with 20 dice with sticker sides including white starter dice, white upgrade dice, black general dice and a single colored die associated to the Gnome of that color. As well there are the aforementioned component tokens, which could use some thickness. Overall, this game is well thought out, the characters seem balanced in two to three player games, and I would assume the same for larger games. The theme is cute and it’s a quick game to learn, the shared/personal resource split is a fun strategy that helps younger kids grasp the basics of strategy. Plus, it has Gnomes. Cogs in the Machine is currently on Kickstarter ending 9/22/15. You can get a copy of this game at the $45 backer level. Guitar Hero Live Hands-On Impressions! Activision held an event at the Best Buy Theater in NYC today to give a small group of reporters a first hand look at Guitar Hero Live and Engaged Family Gaming was lucky enough to get an invite! I represented EFG at the event and got a LOT of hands on time with the game. There were only three songs available, but all of the difficulty modes were active and I took my time to go through them all to see how it would all play out. The difference in the presentation was clear from the minute I strapped the guitar on. Each song started with a first person view of a backstage area while my bandmates and I prepared to rush out on stage and begin our set. Activision was showing us the massive outdoor festival locations today, so running out on stage drew thunderous applause from the massive army of fans spread out before me. Every time the camera panned out across the audience I got a little more nervous even though I knew it was just a video. Activision made it clear during their presentation that they wanted to make a game that actually gave players stage fright. This definitely felt like it was working (although it could have just been the ever-so-cheerful PR person or the large group of other press watching me). It looks different, but the gameplay will be immediately familiar to anyone who has played before! After a short intro and several generous looks out across the crowd it all came crashing down on me that I had to actually play this thing. 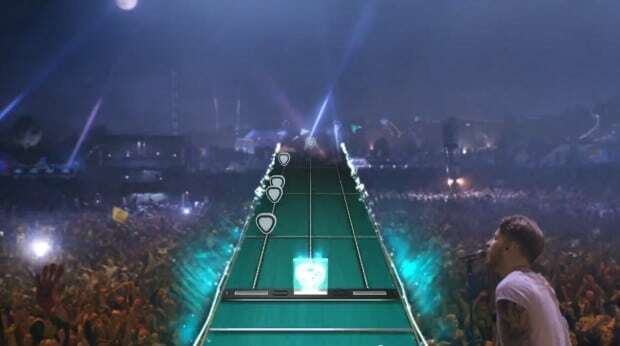 The vertically aligned bars that have been the hallmark of the Guitar Hero franchise faded into view and a series of black and white guitar picks glided down the lines as opposed to the colored gems I was used to from before. The difference was alarming since I was very used to the older style, but it was very intuitive. I really don’t think that new players will struggle to pick up the controls. In fact, the rookie difficulty level only included three buttons so it should be even easier for novices (and younger players) to pick up than previous. I tried that difficulty and had the crowd fired up quickly and kept them going. It was a lot of fun playing and really getting into the rhythm of the music along with the fans. That all changed when I switched over to more advanced difficulty levels that used both the top and bottom rows of buttons. Making those transitions was very difficult without practice. I got a little bit better over the course of a few songs, but it left me feeling a bit frustrated. There is room for improvement though. I could tell immediately where I would need to improve if I wanted to succeed moving forward. Parents should definitely be ready to step in with help for more ambitious kids. Keep in mind that you can change difficulty mid song, so if it just isn’t working you can always step it down. The entire experience was great and I was left wanting more. Fortunately, we don’t have to wait long since the game will launch this fall for just about every console under the Sun. So, if you are like me, you have a child who is obsessed with Skylanders, but you have never actually played the game. Due to this complete lack of playing, you might not understand it when you get lectured for the 50th time on why – despite his coolness – Lob Star was a waste because Snap Shot can unlock all the water stuff anyway… and he came with the game. Or the age-old lecture about why Roller Brawl was not an acceptable alternative to Krypt King. Well, the good news is that you’re in luck! 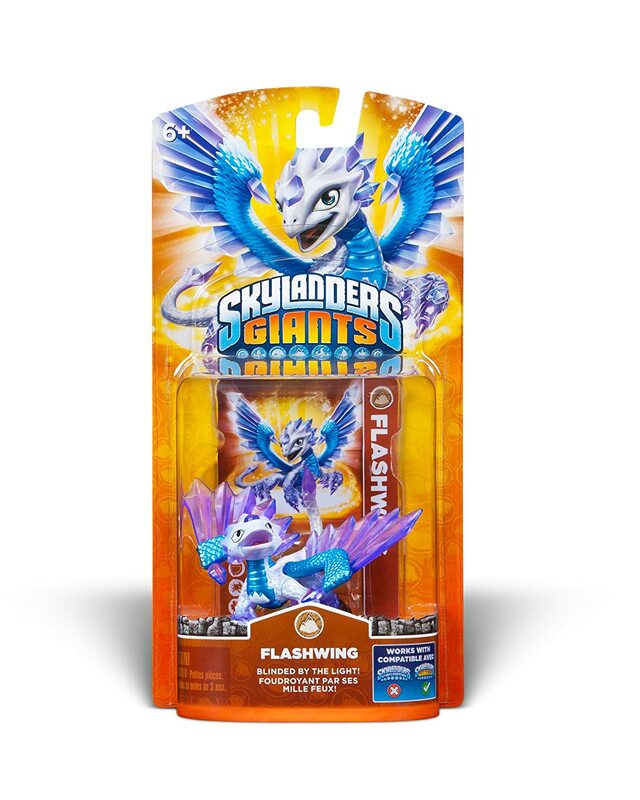 Since I fail at playing Skylanders with my daughter, I have researched how to get what she needs for the game, and what all these other pieces are so I’m not spending more than is needed! If you are a misguided parent who just wants to know what your kids need (all on one place) this is going to be a great read. A word of caution though, this is not intended for collectors. If you plan on buying ALL of the figured and traps, then this guide won’t do a huge amount for you. Below you will find a list of the toy components to the current Skylanders Trap Team game along with explanations of what they do. $14.99 – These guys are the powerhouses of Trap Team. They unlock secret areas in the game and can break Traptanium deposits (which will usually be hiding treasure or other interesting items). 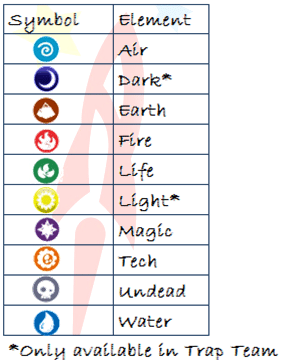 There will be two Trap Masters for each element once the total run is completed, but as of today, these are the ones that have been released in the US. 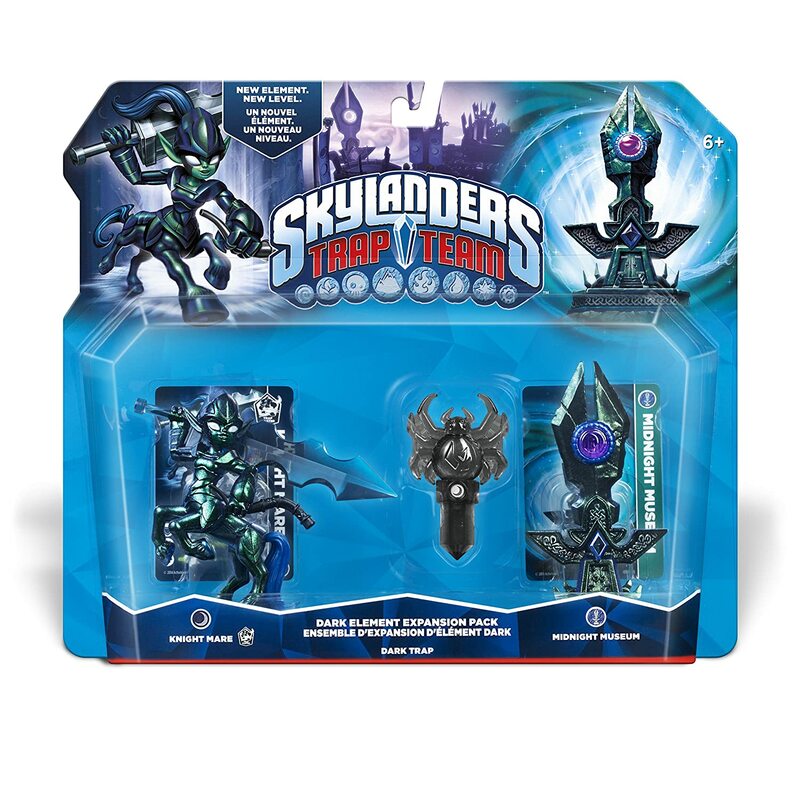 Name Your Link ” target=”_blank”>Skylanders Traps are used to store captured villains and are needed to complete “redemption quests” for the different villains. There are traps for each of the 10 elements just like with Trap Masters. The base game comes with one Life and one Water trap. There is, however, a Dark Edition that also comes with the Kaos trap to what comes with the base game. You use each trap to store a single villain from the game. You can switch them out at any time at your in-game vault, so you only NEED one trap of each element to access all of the villain’s content. Light and Dark traps have been added to the game, but they are only available in their associated expansions (see below). Traps are available for $5.99-$6.99 (depending on the store), in 3 packs for $14.99, or in a very hard to find 8 pack (with a villain variant) for $39.99. In addition to the elemental traps, there is also the VERY difficult to find Kaos trap (Here’s my feeling on that). This trap is sold separately for $5.99, as a part of a 3 pack (GS exclusive) for $15.99, or in the Dark edition. It is required to trap Kaos (the final villain of the game) and to complete his redemption quest. 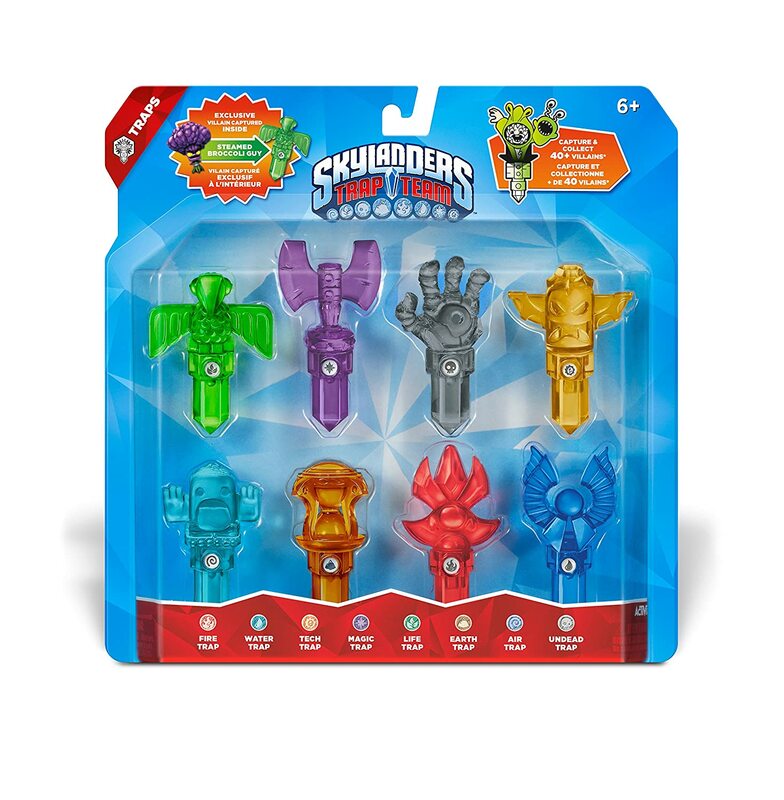 Many people ask us which Skylanders can be used for which games. We created a handy guide to tell them apart. However, a rule of thumb is that Skylanders GAMES are always backwards compatible but the Skylanders figures themselves are not. They typically sell for $9.99. $13.99 – These super cute characters can be used to access an exclusive mini level. They have the same powers as the original characters that they are based on, but they are not backwards compatible. They come in twin packs. 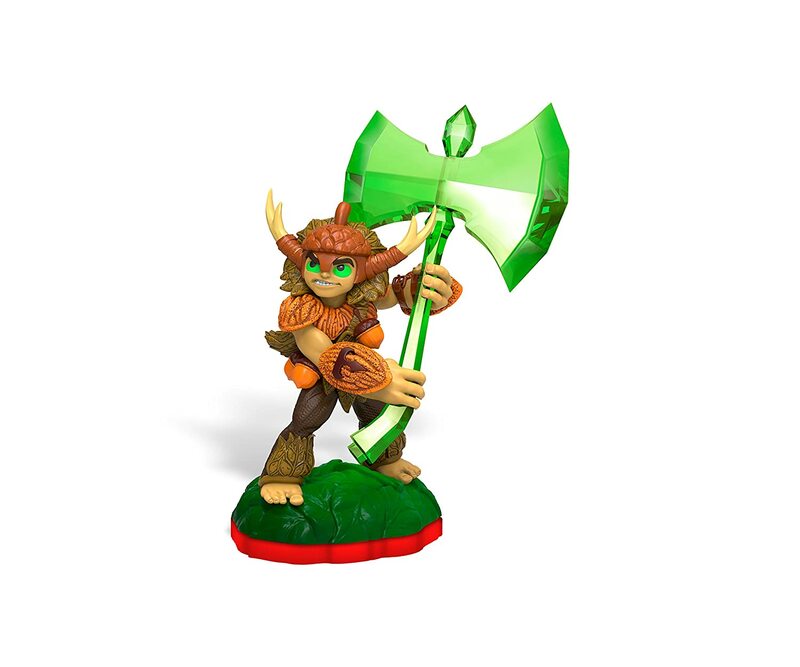 Eon’s Elite – Game Stop Exclusive – These variant characters are three times more powerful than normal versions in the Skylanders Trap Team game. The Elite characters are all Skylanders from older games remade in cool holographic packaging, and will work in any version of Skylanders that their non-Elite version would be able to play. They don’t add content to Trap Team, but they are definitely a boost with regard to finishing content. At a price point of $24.99, they are not a necessary addition unless you are a collector, want older characters that aren’t difficult to play, or you just really want a super cool version of Spyro! Nitro – Target Exclusive – $14.99 – This set continues a variant that started in Swap Force. In the past, these figures were speedier than their counterparts, though I haven’t found much more information about their performance in game. They also do not appear to unlock additional content, other than giving you an additional entry in the Skylander library. Currently there are two Trap Masters available (Nitro Head Rush & Nitro Krypt King). 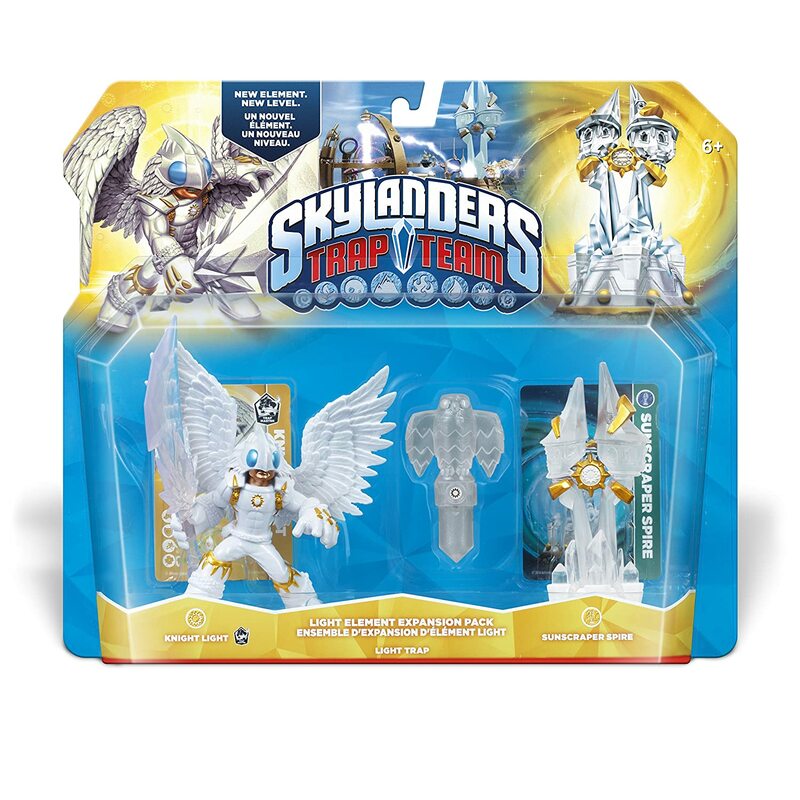 Legendary – Toys R Us Exclusive – $16.99 – These variants have upgraded stats but don’t add new content. There are two Trap Masters available (Legendary Bushwack, Legendary Jawbreaker), and two Normal Series figures (Legendary Deja Vu, Legendary Blades). Midnight Museum Dark Element Expansion Pack – Adds access to the Dark element, and opens a new level for exploration with new villains and items. Sunscraper Spire Light Element Expansion Pack – Adds access to the Light element, and opens a new level for exploration with new villains and items. For a complete list of release schedules, “waves”, additional not-yet-released Skylanders, and chase variants, check out the awesome resources over at Skylander’s Character List! It is a great website that will be a MASSIVE help to collectors. How Do I Tell All These Skylanders Apart? Skylanders have become a huge success in recent years. Kids everywhere are asking their parents, Santa, or anyone else who might listen to help them get in on the action. The toys themselves are everywhere and it might not be very clear what games they can work with. But, fear not! We have a quick and easy guide to figuring out how to tell if you’ve got the right Skylander for your child’s game. If the character is out of the package, it might seem impossible to tell which version of the game it will work with, and it turns out that Activision thought of that. All you have to do is turn the figure over and look at the color of the translucent base and that will tell you what game it came from. Just to make it easier we set up this chart to help you figure out which games it can be used in! Also at the bottom of the base, you’ll find the symbol for the element. 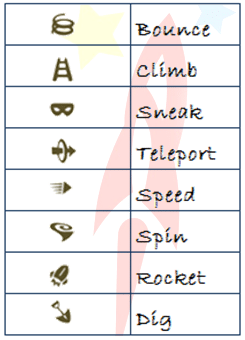 So, if your kids are asking for a Trap Team Earth character, you just need to look for a red base and the symbol on the chart below! Now, each game after Spyro’s adventure has a special type of character who is able to unlock mini-levels to gain magical hats. In Giants, the characters are obvious by their sheer size in comparison to the others. Swap Force brings in larger characters, that disconnect with magnets at the waist. They have an additional type that unlocks areas, that you’ll see below. 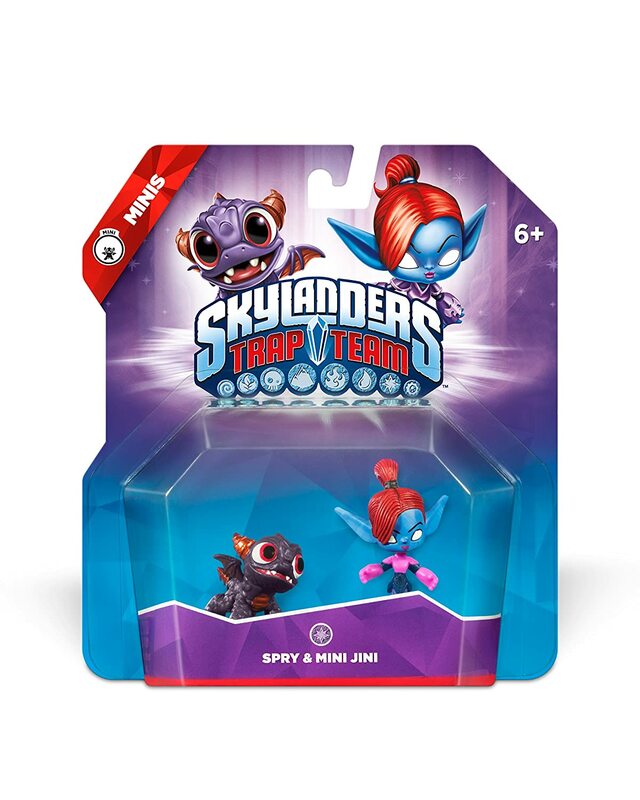 In Trap Team, the special characters are also larger than the common Skylanders and have a translucent weapon or headwear. Hopefully, this guide will help you to understand what Skylanders you are getting! For more detailed information on Trap Team Skylanders, check our our article here! *Note – we will continue to update this article as more different Skylanders are released so feel free to bookmark this and check back whenever you need to! The sound of hurried footfalls on pavement echoed through the alley way. Three young girls stop fast, as they reach momentary safety, their eyes meet. With one decisive nod, three voices call out in harmonic unison. As the words float through the air, perfectly cut crystals hung from cords around their necks radiate light. The surrounding atmosphere begins to crackle with pure energy, enshrouding the girls within it’s ribbon-like currents of translucent, opalescent color. The winds die back down leaving three new girls, clothed in colorful and silken suits, brandishing impossible armaments standing in the spaces once occupied by the rushing girls. Echos of boots on cobblestone ring in their well adorned ears, as their equally saccharin rivals flowing pink ribbons come into view. Only one team can keep their transformation crystals. Who will win? Only magic… and maybe the moon… will tell! In Japanese, the term Mahou Shojo means “Magical Girl”. If you’re not sure what a magical girl is, you only need to look as far as Sailor Moon or RWBY to find one. They are young women who have an innate (or given) power to become a more powerful version of themselves, basically a magically endowed superhero set to fight evil for her ultimate cause! Mahou Shojo is a card game that pits two teams of magical girls against each other in an attempt to prevent the other team from transforming! There are two starter sets to begin, each with two decks of very different sets of girls. Players begin the game by selecting three alter egos and then drawing four more cards. The game starts with an alter ego phase, where players can play an alter ego card as well as a magical girl card face-down. Since a magical girl never looks like her alter ego (secret identity and all), any magical girl can result from any alter ego. Magical girls have three stats, Health (HP), Attack (ATK) and Magic (MGK), which add to the base stats of their Alter Egos (who only seem to have HP and ATK). When the girls transform, the resulting cards form a plus sign to help remember that those cards stats and abilities stack. A turn consists of four Phases – Draw, Action, Attack, End. Actions are selected from the following list: Summon, Spell, Retreat. Summon either brings a familiar into play or transforms your alter ego into a magical girl. Spells consist of Special Events and Special Attacks, these cost magic and augment your abilities. Special Events can be played during your turn, or they can be played to stop your opponents at any time. During the Retreat phase you may summon a single face-down alter ego or bring a different transformed hero forward to the main position to relieve your current leader. When a magical girl is defeated, she, and her alter ego retreat to an alternate dimension and are no longer able to be played, and her opponent gains her transformation crystal. If a magical girl uses all of her magical energy, she will revert back to her alter ego, if she is defeated in this form, her opponent receives half of her transformation crystal. Mahou Shojo plays like a CCG (Collectible card game), but with pre-constructed decks, it bypasses the initial and on-going investment needed to play such games. Game play is quick and relatively simple for an adult, though for younger children it might be a little complex. The recommended age is eight, however there is a lot of text and a large number of differing mechanics that might make it more difficult to navigate. This could have been simplified by using icons for the main stats and by clarifying some of the language on the cards. The game is still in development, so much of my criticism has to do with how it is currently structured. However, the developers are very interested in play-testing and making changes to polish the game. The rules are in need some cleaning up and finalizing, and the language needs to be made more consistent, however the concept is solid and has a lot of potential. Artwork in this game is fantastic, the characters are super inclusive of all kinds of women from their varied skin tones to their body types. There is better representation of females in this game than I’ve seen in any game before it. That in itself makes this a fantastic game to empower players to find their own representative character and to help every girl find her magic. 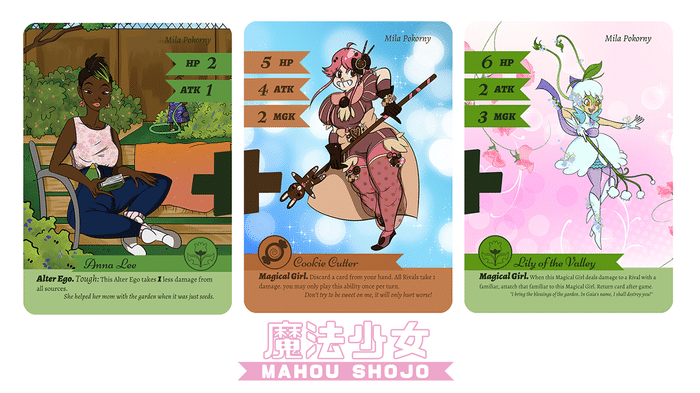 Mahou Shojo is currently on Kickstarter, with a starter set of two decks priced at $20. The campaign ends April 8, 2015! You elude me. I follow sites and refresh Amazon daily, hoping to encounter your translucent black countenance, and yet you continue to mock me. I can almost hear your odd cadence as you call me “Sky-loser” while I enter yet another Target, disappointed at the empty space meant for you. I swim through endless piles of water traps and live through the disappointment of a growing inventory of life traps. I do all of this in the vain hope that I’ll encounter you one day. All to no avail. My daughter begs me to find you, to keep looking, and my hopes are constantly crushed as I find your limited inventory (2 per box of traps) with your price skyrocketing faster than a prisoner escaping Cloud Cracker Prison. You mock me relentlessly, and haunt my dreams with a cruelness that Dreamcatcher could never fathom. Someday I will find you, and with $5.99 you will belong to me. Then with a squeal of joy you will be mine, er, OURS forever. Gamewright announces new releases for 2015! This year at the NY Toy Fair there will be a lot to see. Manufacturers showing off the newest innovations in toys and games… We’re excited to see what they have to show us, and one of our favorite publishers, Gamewright, has given a sneak peek! Check out the new cover art!Turns out in addition to the publication of Farm Fresh Games’ Super Tooth which we announced earlier, there are some other amazing things coming our way. First off, Sleeping Queens will be getting a brand new 10th Anniversary Edition! This new edition will come in a tin (like Sushi Go!) and will be complete with never-before-seen queens and kings and exclusive stickers! So, if you are like me and your child has managed to bend every card as the Rose Queen and the Star Queen talk over an imaginary picnic lunch, this is a great way to upgrade. Rory’s Story Cubes is getting another release of it’s popular Mix expansions which were released around Christmas. So, as you roll your story, you can search your house for clues, or take a stegosaurus on a boat, or have Batman meet his fairy godmother! I’m pretty excited to check out Enchantment, Clues and Prehistoria for myself! To give you a background, Gamewright is known for its commitment to surprisingly fun family games. We don’t have to suffer through Candy Land and Cootie for the 10,000 time. They take concepts that are fun for children and they mix them with strategy and gameplay that even boring, old adults can be entertained by. So, needless to say, while we’re excited about the games we’ve played before getting some new life, we’re REALLY excited about the new games they have coming out! Have you ever thought about doing something silly, like taking a picture with someone you’ve never met, or dancing where EVERYONE can see? Well, Sneaky Cards – Play it forward, is a game that lets you do just that. It’s a scavenger hunt where you pass an activity on to the next person… playing it forward. It’s a very interesting concept game where every move is a social experiment! So, one thing we know Gamewright excels at is cooperative games, with titles like Forbidden Desert and Forbidden Island it’s almost a given that we’d be interested in Outfoxed! Outfoxed! is a cooperative game for players ages 5+ where the players are… chickens. Chickens chasing clues to catch a fox that has absconded with a prized pot pie (let’s hope it’s vegan), what family can resist working together to solve such a heinous crime? I know mine can’t! The only thing that can follow a game full of poultry intrigue, is one about squirrels. Go Nuts! is a dice game where you want to collect as many nuts as you can, while dodging cars, and before your opponents can send the dogs after you! It almost sounds like Zombie Dice for fans of the fluffier game protagonists. We don’t know too much about Flashlights and Fireflies. According to Gamewright: “Get ready for a backyard dash-through-the-dark in this game of firefly-powered flashlight freeze tag! First, catch fireflies to power up your flashlight. Then shine it on other players before they sneak back to home base. All along, watch out for bats, raccoons, and other nighttime critters that are out to trip up your tracks. Be the first to reach home and you’ve outshined the competition!” I would guess that it is a board game, but I’m not sure – I guess we’ll need to find out once we see it! Now here is where I get really excited. Dragonwood is a game that promises to be reminiscent of all of my fantasy-based tabletop roleplaying games. Building a hand of adventurers while fighting goblins and orcs and dragons (Oh my!) with a constantly changing strategy? This game could be amazing! And knowing Gamewright‘s dedication to making games that encourage the whole family to play, I have to say I’m excited to play a roleplaying-like game and to NOT have to be the Dungeon Master! So, that’s Gamewright‘s line-up for 2015! I’m looking forward to most of these titles from what I’ve learned so far, I can’t wait to get a chance to actually play!